I seem to spot yarn-related items wherever I go, even in the most unlikely places! I recently visited Narberth Museum, located in the recently renovated Bonded Stores, a hundred year old building that – in its heyday – would have been a temporary home to hundreds of valuable kegs of duty-free whisky, brandy and rum before they were shipped further afield. 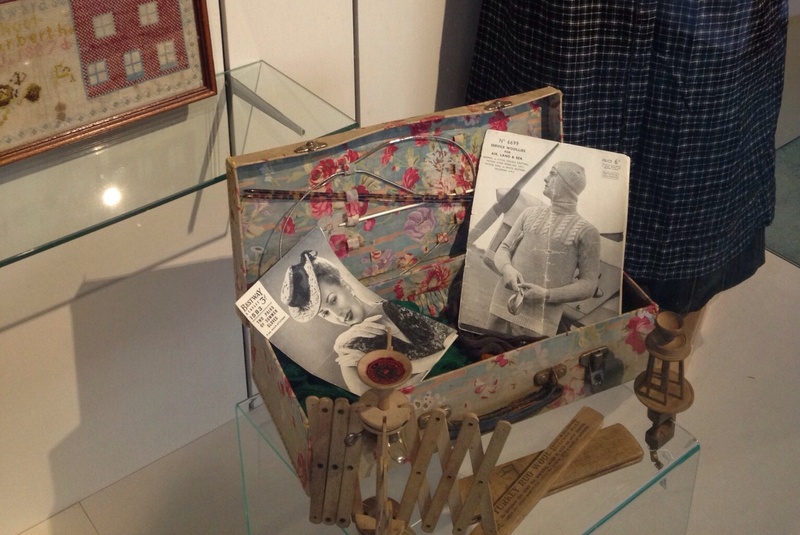 So it was quite a surprise to turn a corner in the museum and see two glass cabinets displaying a range of knitting related items, including some vintage patterns. 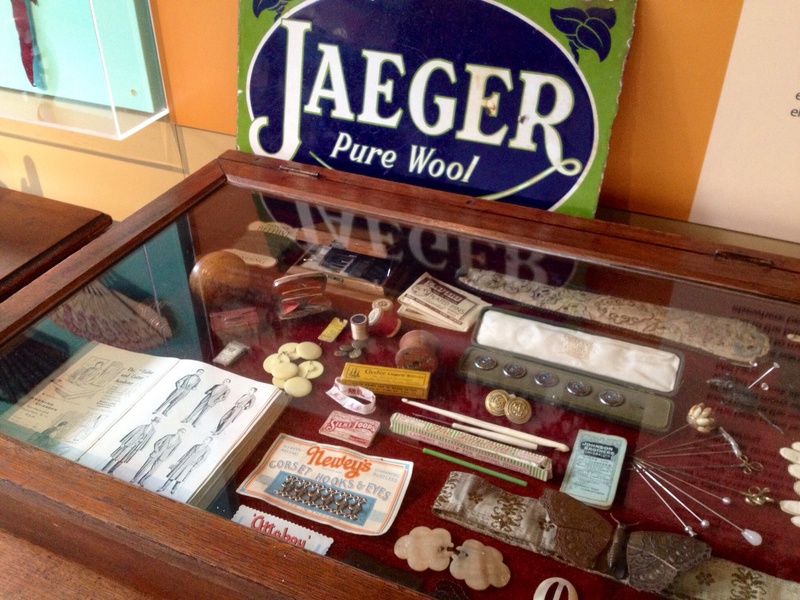 A reflection of everyday local life over the years, and a reminder that our knitting notions are not so very different today. The museum includes a cafe and gift shop, and the building also offers meeting rooms and office space for local businesses. Where have you seen knitting items on your travels this week? I’d love to hear about it! This entry was posted in Uncategorized and tagged Holiday, inspiration, knitting, Wales. Bookmark the permalink. Are they still there or did you shovel it all into your handbag to take home? Not exciting or exotic or maybe even that surprising, but pleasing to see some wool and equipment for sale in Migros DIY store – there is a craze for crocheting hats and baskets with thick bright yarns, amigurumi and also felting going on, so the materials for that are apparently available in a more commercial setting than is usual for wool these days. However, the quality was mostly acrylic and what wool there was was merino and eye-wateringly expensive 😮 But hey, better than not finding anything anywhere and we left the store with a handful of it… Sometimes I wonder if the (mainly female) population has forgotten their own childhood, where I can guarantee that at least 90% were taught to knit and crochet at school!! People are funny.